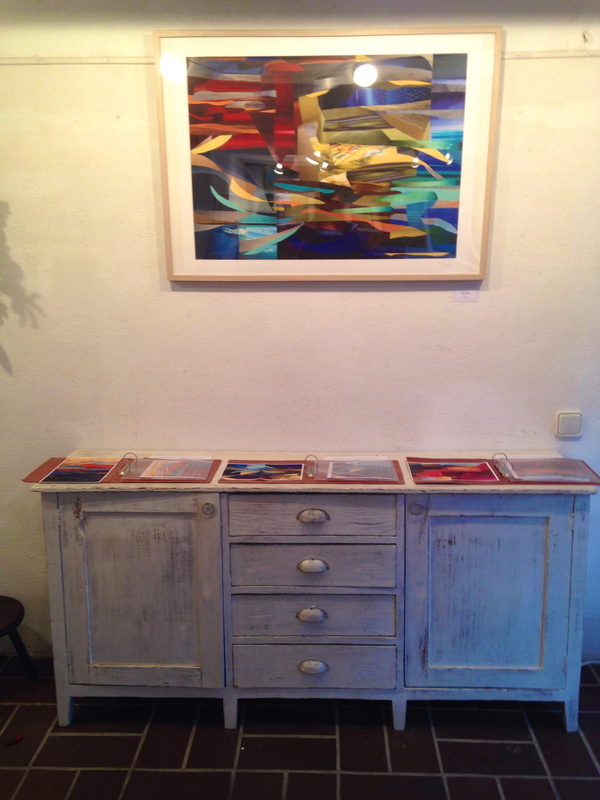 The latest exhibition, “Light, Colour & Movement” at Taller Galeria Fort in Cadaqués is in full swing and proving to be a big success. Having launched over the past weekend, we have been welcoming art lovers from all over the world to a very positive reaction. Capturing the essence of the decor of this truly artistic town, the exposed rock and white wall decor perfectly combine to show off the colourful works of art. For those of you who can’t make it, here is a sneek peek at how it’s all looking…!